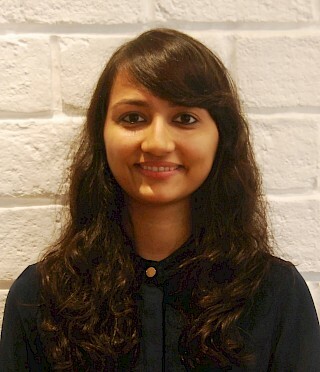 Harshita is a Senior Analyst at IDFC Institute. Her research focuses on the link between infrastructure investment and job creation, healthcare as re-architecturing welfare, regional divergence and urban housing policy. She holds a postgraduate diploma from Meghnad Desai Academy of Economics, which is affiliated to University of Mumbai. Her research interests include macroeconomics and urban governance. Harshita’s dissertation was based on the lines of urban policy discussing the issue of urban definitions using an urban-targeted scheme. Prior to her post–graduation, Harshita graduated from St. Xavier’s College (Autonomous), Mumbai, obtaining a Bachelor of Arts (B.A. ), having majored in Economics and Sociology. During her graduation she presented a research paper on the economic resilience of Greece’s economy post the Global Financial Crisis. She has also been part of the organizing workforce of the college festival, Malhar. During her time at Xavier’s, Harshita volunteered as a teaching assistant to children from underprivileged backgrounds. India is more urban than the official numbers suggest. If thresholds for the categorisation of cities are relaxed, India moves from about a quarter urban to about a half and even more. Low rental yields and obstacles to eviction mean that 11.1 million urban houses in India are left vacant.